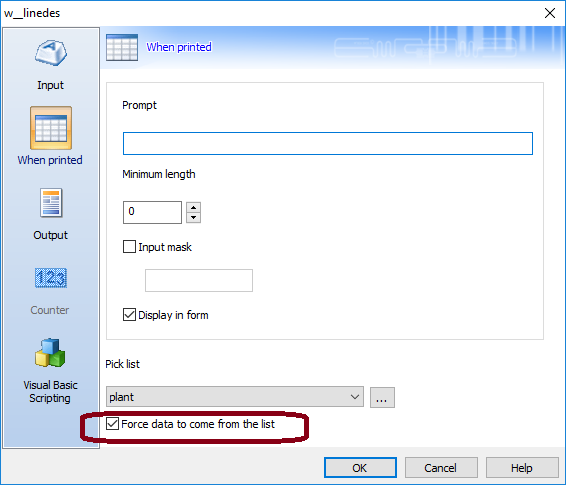 If you have selected the “Force data to come from the list” option, and the When Printed default value is not in the Pick List identified in the When Printed settings, CODESOFT will give you this error message. 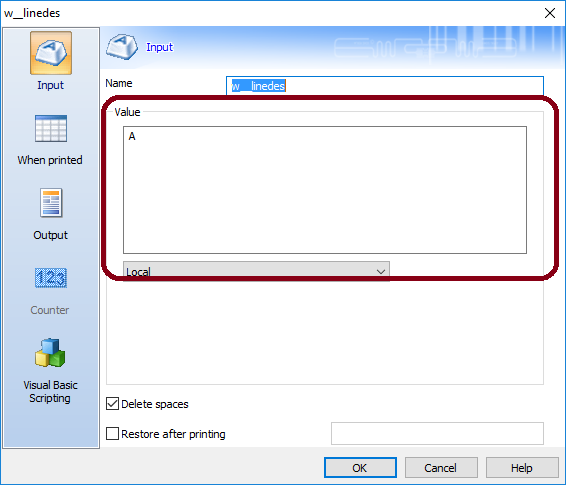 The default value specified in the Value section of the When Print field properties (under Input section) is not one of the Pick List values. Option # 2 – Make sure the data in the Value section within the When Printed data source matches one of the Pick List values.